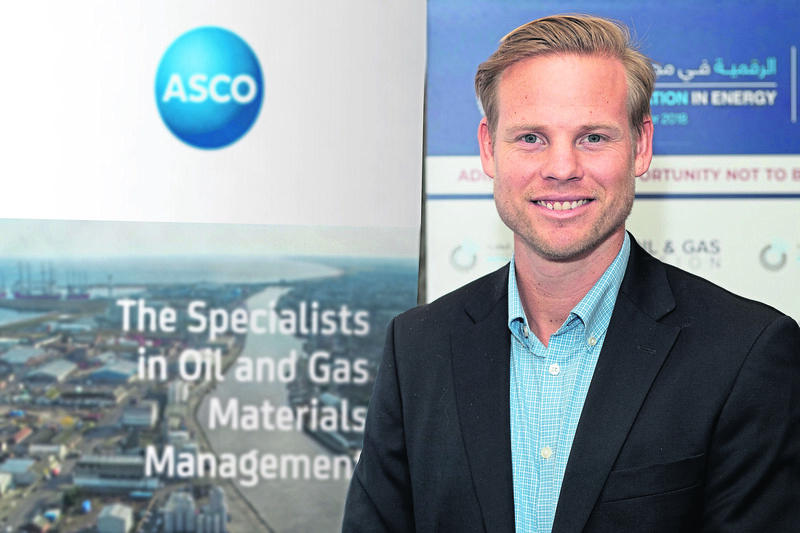 Digitalisation and innovation manager for ASCO Norway, Christopher Hoftun, says the offshore supply chain industry is now ready to be digitally transformed. Hoftun is familiar with pushing boundaries – with a background in petroleum engineering, including time at NASA Ames Research Center in San Francisco. He was a co-founding director of the Mars Institute in Stavanger, the only one of its kind outside North America. The institute, with a remit to build collaboration and test novel technologies for future missions to the red planet, established a base in Stavanger because of the city’s world-class reputation for oil and gas technology – a technology not so different from that used in space. Hoftun explains: “Part of my role was to reach out to tech companies and encourage them to collaborate with NASA, to share knowledge across different sectors. A boost in that efficiency will not come from rocket science, but by implementing systems that have been exploited within the retail and automobile sectors for over 20 years, as Hoftun explains: “We could learn a lot from the car manufacturing industry, where orders for parts are placed online in a process which kickstarts a whole set of motions that smoothly pull everything from supplier to consumer. A tendency towards silo-based working and a reluctance by customers to be the first to engage in new technologies have been key to the industry’s comparatively slow uptake, according to Hoftun. He said: “Historically, most companies were independent and non-collaborative. There is very little standardisation as a result, and the lack of data sharing has made it difficult to plan efficient operations. ASCO is no stranger to innovation – the forward-thinking firm has focused its strategy on developing and exploiting digital technologies for the past several years. Dr Matthew Anderson, the business transformation director at ASCO, said: “We are well placed to push modernisation, specifically how humans and technology augment each other to optimise operational efficiency and performance. A digitally enabled supply chain will bring multiple benefits.